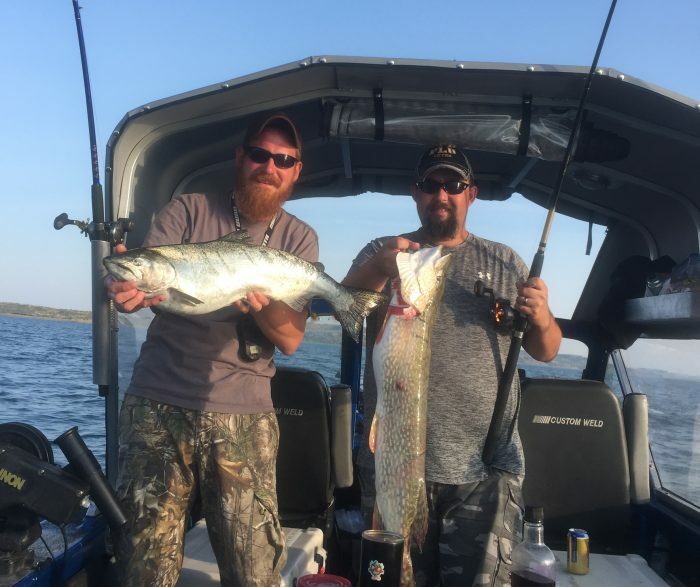 Jake Schrock and a couple of buddies from Great Falls caught a whole bunch of lake trout , two salmon, and a nice northern pike fishing for salmon on Fort Peck Saturday. “It was a good day”, said Schrock. 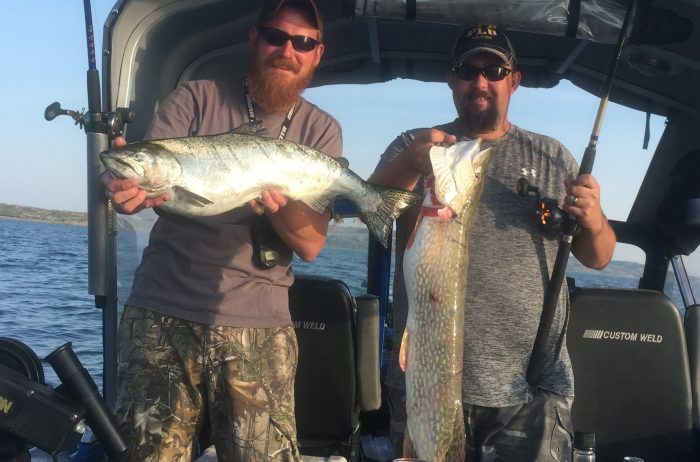 Anglers are picking up a few salmon everyday so the bite might be right around the corner. 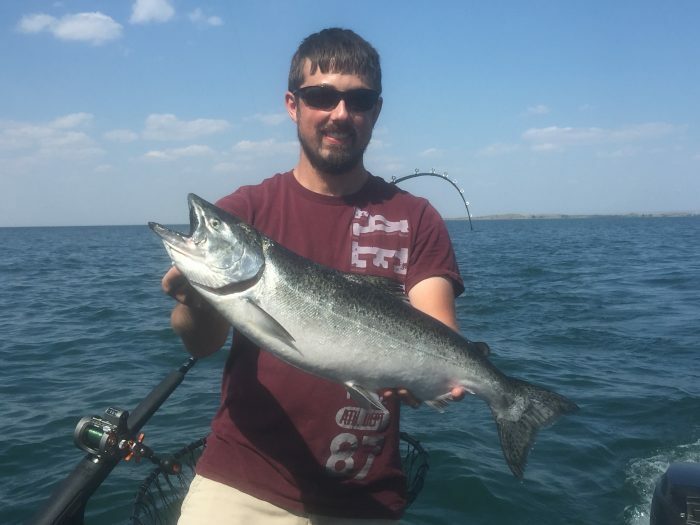 Schrock was fishing around the face of the dam and Haxby point when he hooked the salmon trolling 90 feet deep with Brads Cut Bait.